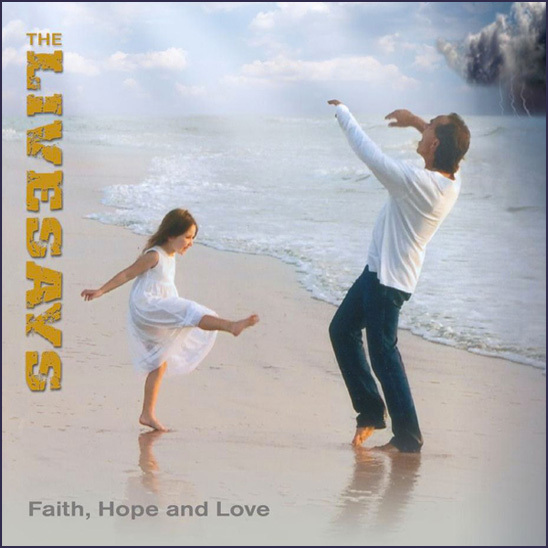 The Livesays are a Rock & Roll band from Miami that love to turn up the volume and the tempo. That being said, the group also has another strength – strong lyrics. So, not only do you get some eloquent melodies on this disc, but you also get some thought-provoking material that will no doubt make an impact on you as a listener. That is apparent from the start of Faith, Hope, and Love - with the Springsteen-ish “You Don’t Know Me.” Call it Rock Music for the Thinking Man. We just prefer to call it dang good. Other top-drawer moments include the blues-laden “Hit Parade,” which will knock you right between the eyes with its’ dramatic flair – and then, there’s the poppy sheen of “Endless Summer,” which brings to mind some of the best 80s and 90s moments on Pop and AC radio. All throughout the album, lead singer Billy Livesay leads the charge – and the band- comprised of Tim Murphy, Cuqui Berrios, Eddie Zyne, and Jorge Laplume each do their part to insure that this record comes off as cohesively as possible. To be honest. they even make it look easy – and downright fun!